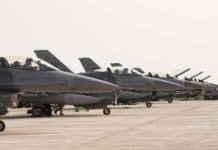 SPANGDAHLEM AIR BASE, Germany: The 480th Fighter Squadron was activated as the 52nd Fighter Wing’s newest F-16 Fighting Falcon squadron as of 13 Aug. at 1:48 p.m. 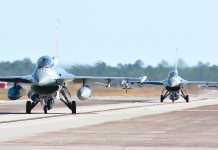 The new squadron comes after the Combat Air Forces Restructuring plan transitioned 21 F-16s assigned to the 22nd and 23rd fighter squadrons here to the 148th FW at Duluth Air National Guard Base in Minnesota. 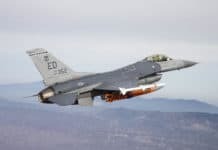 As a result, the wing inactivated the two squadrons and activated the 480th FS, which holds significant historical precedence to the base and region, said Col. Jackson Fox, the 52nd Operations Group commander. 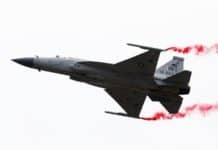 “Activating the 480th (FS) here at Spangdahlem Air Base continues our wing’s proud tradition of heritage while moving forward into the future,” Colonel Fox said. The 480th FS was first activated as the 480th Fighter Bomber Group, flying F-100 Super Sabres in 1957 at England Air Force Base, Louisiana, then re-equipped with F-4C Phantom IIs and moved to Da Nang AB, South Vietnam, in 1966. In November 1967, a member of the 480th FBG, Capt. Lance Sijan, was shot down and badly injured in North Vietnam. Despite his injuries he evaded enemy forces for more than 40 days and then, when captured, managed to escape briefly. Captain Sijan later died in a prison camp and was posthumously awarded the Medal of Honor. In 1969 the squadron moved to Phu Cat Air Base, South Vietnam, scoring nine MiG kills, including the first MiG-21 kill of the war. 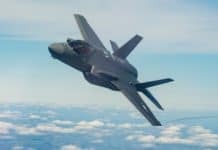 Regardless of the name changes, the squadron’s mission here remains the same, said Lt. Col. Andrew Wolcott, the 480th FS commander. But more importantly, the squadron is now the only F-16 squadron in the European Command to provide suppression of enemy air defense support. Having two squadrons with the same assets and mission allowed members to rely on one another for not only day-to-day requirements within the wing, but also for deployments. 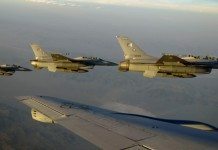 For example, each squadron supplemented the other with pilots during back-to-back deployments in support of Operation Iraqi Freedom last year. Once aircraft transitioned to locations in the states as part of the CAF Restructure, the 22nd and 23rd fighter squadrons conducted combined training and operations as a single squadron.